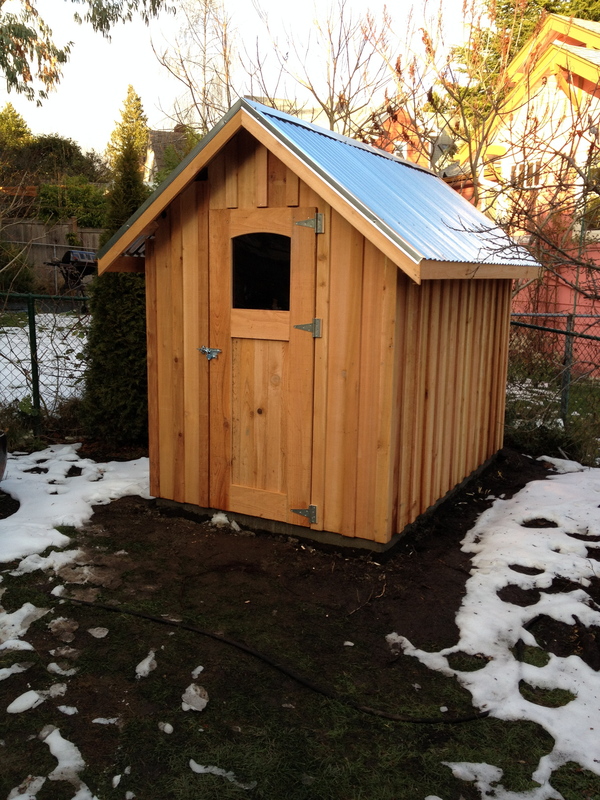 We two standard sheds – the Seattle Shed and Gable Garden Shed. For a custom shed quote, please email me the following: Width x Length, Wall height, Roof style (gable or shed-roof), Siding material (Cedar board and batten, T1-11, horizontal slats with gaps). 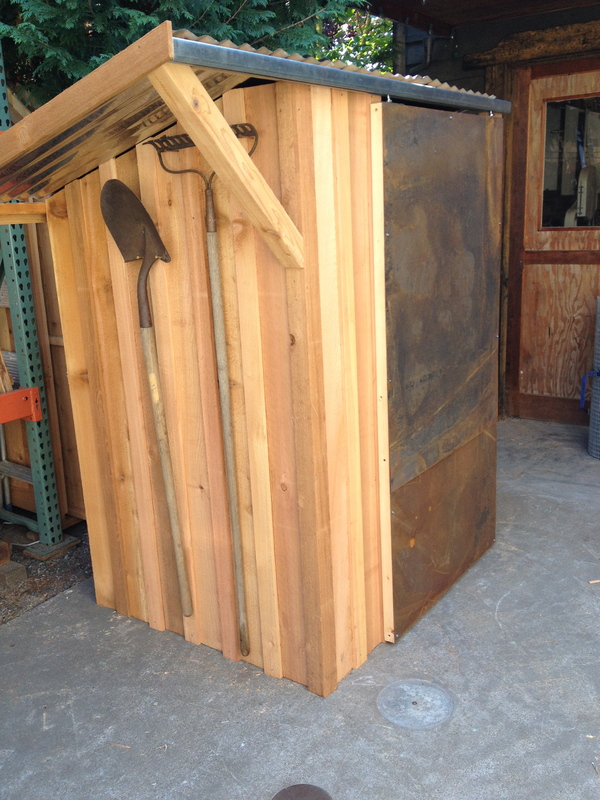 This shed has a sliding door and measures 32.5″‘x6’ at its base, and 6’7.5″ at its tallest point. Interior dimensions are s 27-3/4″ wide x 70″ long. The front edge of the roof has a built in gutter. Door can be upgraded to a window door or a painted chevron door. Interior comes with two shelves.